You’re in need of a logo. You know you need it but there are too many options and uncertainties. You’ll spend all this time weighing choices and still you aren’t sure if the logo designed is really going to work. Vancouver businesses put their trust in us because we work holistically to understand their challenges end to end. You’ve got a lot on your plate but are serious about getting this right, so we ask you lots of questions. You can rest easy knowing your concerns are now ours. So get in touch, let’s hash this thing out. What if all of your problems could melt away like snow in the Spring? So what do you do when facing a Recall. I. Bad pun, but a great post on brand strength. Learning from your mistakes is great. Learning from others', now that's even better. Twice a week design and branding tips that will help your business. Subscribe and you won't miss a beat. Brandcouver is the culmination of experience and backgrounds in design of two logo fanatics, Sharon Chow and Kyle Lincoln, Vancouver logo design specialists. Bringing logo design to Vancouver, we are local graphic designers that ride our bikes year round and embrace the rain. We work with you to understand the challenges your business faces, why you must face them, and if there are broader steps that can be taken. At Brandcouver we strive to build identities that will stand the test of time by marinating each with meaning. We do so by helping your business’ voice reach its target customers. We are branding consultants by choice because we thrive on seeing clients succeed; and because we're focussing on restaurants, we love it when a good place sticks around for us to enjoy! 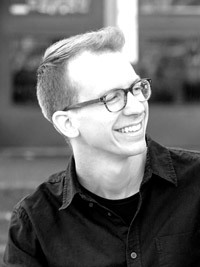 Kyle is a logo crafter, avid reader, and writer. His experience expands across a wide spectrum of clients such as Nandos, Shaw Business, and Destination Canada. Growing up, it didn’t take him long to go from doodles to design. Kyle’s previous work in identities for conferences and events left him longing for something more enduring. He’s got a vested interest in helping businesses thrive and an eye for brand incongruences. In Vancouver he can be found scoping out his client’s location and/or the nearest gelateria and is always up to discuss your project or favourite flavour. 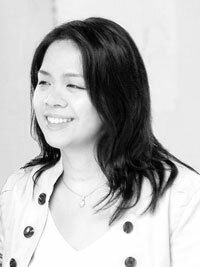 Sharon is a logo designer, brand specialist, problem-solver, illustrator and foodie at heart. Her appreciation of a well-crafted healthy meal is only matched by her love of carefully thought out design—eye candy without purpose is junk food and empty calories. That is why as a designer, she strives to create meaningful connections where form follows function. Along with her passion to create delicious designs, she has developed a range of experience through in-house design positions and a variety of freelance projects. All of them lending to her expertise in logo design.